Celery is another vegetable that is rich in dietary fiber, while beets offer many health benefits. Chop celery and beets, add to a juicer and blend well. Pour the mixture into a glass tumbler and garnish with a slice of lemon. The juice is rich in antioxidants and helps detoxify the body. Spinach is one of the richest sources of Vitamin E, folate, iron and dietary fiber. To prepare this healthy juice, dice some apples and add some finely chopped spinach to it. Blend it well in a mixer. Pour the juice into a glass and add a dash of lemon juice. Grapefruits and other citrus fruits are good for weight loss. To make this yummy juice, chop the ingredients and churn them in a blender for 5 to 10 minutes. Add 2 to 3 drops of stevia for a milder and sweeter taste. Garnish with a lemon wedge and enjoy. Watermelon is rich in water and fiber. It can make you feel full and suppresses the hunger pangs. Add chopped watermelon and lemon to a mixer, and blend it smooth. Take some crushed ice in a glass and pour the mixture into it. Garnish with mint leaves. Your secret to weight loss is ready. To make this delicious juice, throw a cup of pomegranates and two litchis (deseeded) into the blender and churn. You can consider adding crushed ice and mint leaves to give the drink a refreshing twist. 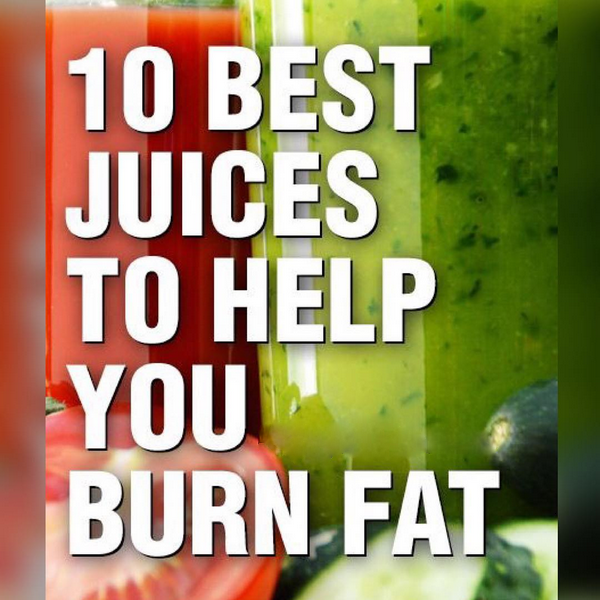 This juice is high in citric acid and is the best fat burning juice. Take some carrots, apples, and a small ginger piece, dice them into cubes and churn them in a blender. Pour the mixture into a tumbler and enjoy. The drink is rich in vitamin A, calcium, and has anti-carcinogenic properties. Guess what? It also helps you shed flab. Throw in the ingredients in a blender and churn to prepare this healthy drink. Orange, carrot and beets are full of vitamins and nutrients. The tangy-sweet juice helps you reduce weight. Throw the ingredients in a blender and mix well. You can add apples if you like.